Today we celebrate the gift of those gorgeous chocolate eyes. 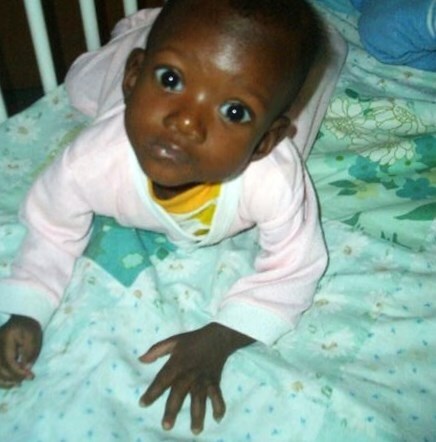 9 years ago today we received our referral for N.Doumoundo B. Lamien. We will share the very first images that arrived in our inbox of our 5th child and the miracle of Love that filled our hearts and home that day. If you wish to start at the beginning, part one of our story is here. Once we said yes to the call to adoption we knew our next step was to bring our 4 biological children alongside us on the journey. We spoke with Travis, 18 and Tylor, 16 knowing this direction would greatly impact their lives. Both immediately responded with complete support and enthusiasm. Both expressed a sensing of this leading in our home and a willingness to walk whatever it may cost them. Parker, 12 and Kaydra, 9 were 100% on board having a much easier time focusing on the “fun” of a possible baby than mom and dad were having. Next we went to our computer and “Googled” the word adoption. It didn’t take us long to realize we were too old, too poor, too tired for the process and we already had plenty of kids. It was clear to us our Lord must mean something other than adding another child to our family. “There is just no way.” Over the 7 weeks to follow we pushed the word adoption aside, but it continued to pop up every time we turned around. In the short time we had spent on the internet, we had requested information packets from a couple of agencies. We had received those packets, which further confirmed that adoption was something far beyond our resources. We assumed the Lord must have been testing our willingness and thought; He must be pleased with our obedience in researching the possibility, and we were sure He saw as clearly as we did that it is just unrealistic. We talked for some time and then went to bed, each wrestling in our own minds over the same thing. Our flesh said no, we clearly saw the risks and our limitations. As we fell asleep we each in our own way we prayed …”If this is of you God, make the message clear, if it is not of you give us a break – free us of the nagging and give us freedom to move on with our midlife plans.” In our Lord’s ever faithfulness He quickly made things crystal clear. Christmas Eve Morning, December 24, 2004~Kaye and I headed out early to do some last-minute Christmas errands. We both jumped in the truck, I turned on the radio and then ran into the house for something I had forgotten. I had recently helped with the radio translator that brought WWIB to our area, I kept my radio tuned to that station allowing me to keep an ear tuned to the quality of reception. The announcer spoke…”Today we will be speaking with the directors from Wisconsin adoption agency.” Kaye immediately recognized the name of the agency, her eyes filled with tears and her heart became heavy as she recognized the seriousness of where we were headed as a family. Kaye didn’t say anything to me when I returned to the truck, but waited for me to realize what our God was doing, we were just moments from our home when I heard the word adoption and turned to see Kaye’s reaction. Her eyes locked with mine and she said, “I know Tim! “ The Program had begun the moment I turned on the radio, the quality of reception was excellent, and the message was coming thru very clear from much further away than the translator in Hokah. We ran our errands as we listened to the full 60 minutes of programming, we both knew with absolute certainty that adoption in some form would be a part of our journey together. We had no idea what form it would take; perhaps we would work with an adoption ministry. We knew we did not have the $30, 000.00 it would take to personally adopt. There was some comfort in that; we still had no need to begin parenting all over again. As the program ended I said, “Well there you go, I guess we have to do something, perhaps support an adoption ministry, and “when” a check arrives in the mail we could even consider actually adopting.” The agency was adopting children out of Liberia; Kaye was unfamiliar with the location of Liberia and asked at one point “What color would those children be Tim?” “Very dark-skinned, Liberia is in Africa.” Through our 24 years of marriage every time we talked of adoption as a possibility we always envisioned our adopted children as dark skinned children of African descent. We still don’t know where that notion came from; we now suspect our Lord was preparing our hearts for our Blessing. We sensed Our Lord saying, “If you obey when you see the way and provision it is not faith- it is deciding to go ahead with what you are capable of accomplishing. That is no different from how the world lives. I want you to walk in obedience by faith, faith that I will direct, faith that I will provide, faith that I have a plan.” By January 2, 2005 we had decided we needed to pursue actual adoption as our Lord directed and provided. i knew Tim meant business when he brought home a leather bond journal and said, ”This is for you to record our adoption journey.” For the next several days we tried to make contact with a couple of adoption agencies. On January 7th we connected with the agency we would eventually work with and had a lengthy conversation that clearly confirmed we were in fact called to pursue adopting a child or two. We were becoming more certain that our God wanted to use adoption in our home and lives to continue the process of conforming us to His image. 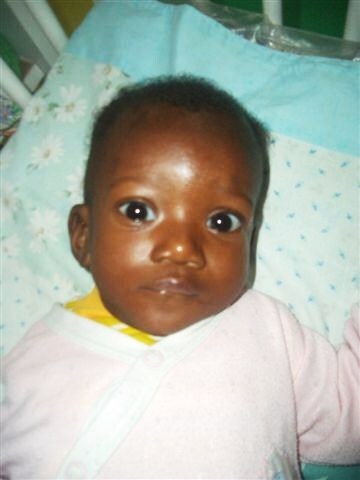 As the Lord was preparing our hearts in Wisconsin, our little Blessing’s life was crumbling in Liberia. On Friday January 7, 2005 we accepted God’s call to adopt. 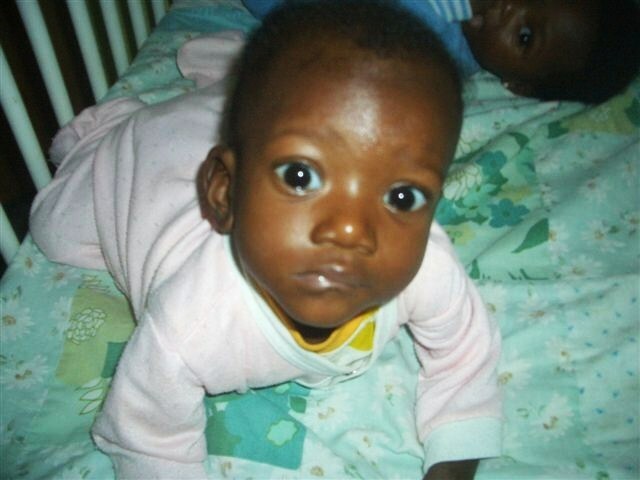 Our adoption documents tell us that two days later, on Sunday January 9th, 2005, 6,000 miles away Blessing’s birth mother died of Tuberculosis. 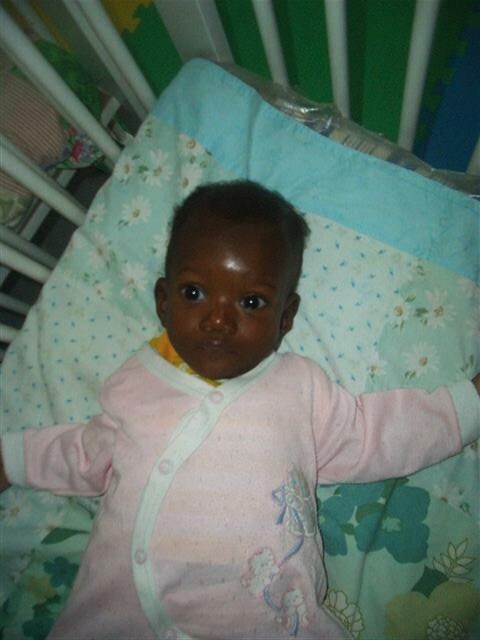 Blessing was 7 months old. On Monday the 10th, the very same day that Blessing’s mom was being buried in Liberia, in Wisconsin we started processing the mountain of paper work it would require for our Lord to bring blessing beyond measure to our home. We had no idea where our journey would take us, we knew nothing of our Blessing, but we see God’s orchestration and an amazing parallel between the pain and loss in Blessing’s young life and the work our Lord was doing in our hearts to prepare a home for her in Wisconsin. From January 7th to July 17, 2005 we walked the “process” of adoption. A file drawer full of paper work, police reports, medical exams, every lab test in Dr. Mark’s book, travel to Duluth, MN and Minneapolis, fingerprinting, passport photos, character reports by friends, family, neighbors, employers and pastor Corey, in-depth interviews of myself, Kaye and our four children, the list goes on and on, it is a daunting process. In those six months Tim unwaveringly walked in peaceful faith, when Tim hears His Lord’s direction he is done asking questions. Tim simply begins the process of walking step by step thru the journey in surrendered faith. When Kaye hears the Lord’s direction, the questions are just beginning. The Lord has been faithful to use this need to question and wrestle to do an awesome refining process in our home, he has faithfully been stripping away much of “us” building into us more of Christ. Oh Father, if we are out of our minds, let it be for you and you alone. Save us from ourselves, protect us from selfish desires and fleshly ambitions; allow us to move forward with this adoption only in you, only by your plan, only for your purposes and only by your direction and provision. Determine our steps Father. We had committed to walk this journey to the end, we would not turn back until we saw His closure on the story, yet my flesh fought for assurance, comfort and understanding in all that made no sense. In another journal entry i wrote; i feel the cost of this in a very real way. My flesh is tugging to turn and run – the uncertainties seem to loom with the power of hopelessness and impossibilities. i desire more than anything to walk only in your direction – that our steps would only be steps directed by you. Yet i do not like to walk separate from the world Lord, this hurts, many do not understand. i do not like to be miss-understood, to be doubted and questioned and reminded of the pain and cost that we may encounter thru international adoption. Grow me to know you are all we need, man does not need to understand or agree; we simply need to hear you and obey. Another afternoon during the 6 months of process i was doing dishes looking out our back window and explaining to my Lord that this whole thing was just too big for us, i explained that he was missing some of the details. We have done the math Father and we will be Grandparents to many by the time this child graduates. We are tired, 4 children is a large family, how do you expect 2 “40 somethings” to do sleepless nights, ear infections, chicken pox and Noah’s Ark water park. There is no room in our house, the bedrooms are full, these four are getting bigger by the day and they continue to drag home more friends, how do we parent a high need baby with a rock band in the basement? Have you notice that we do not have the finances to complete this journey? We don’t have college savings for our first 4 children; Travis is working 50 hours a week to put himself through college this fall. We need to care for the 4 we have, we do not need to add diapers and formula to a shopping list that is already heftier than our checking account. We don’t have a single thing to care for a baby; our baby is ten years old and we like it that way. Again my Father was faithful to continue His refining process… Kaye, as a little girl you pleaded with me to give you a husband that would love, serve and honor me, you asked me to bless you with a husband that would lead in building a home where your children could learn to love, serve, and honor their Heavenly Father. I graciously granted your request. I have blessed you with a husband, a home, children who seek me, food, clothing and excessive other comforts. What will you do with it? Do you think I gave you these gifts just to satisfy you desire, do you think all I want of you is “Thanks Father!” Could it be I gave you these gifts so I could use them to further my kingdom? Can I have your home, your time, your money, and your energy to bring another of my precious ones home to the kingdom I have prepared for her? Will you be a faithful steward of all I have entrusted you with? Will you care for your first four in the most valuable way possible, by modeling before them sacrifice for the sake of my lost sheep? I know exactly what you have and do not have, and I know exactly what I am asking of you. Will you obey? People tend to respond to our journey by considering us either Crazy or Amazing; we are neither, well crazy maybe, at least a bit out of our minds. But amazing we are not! We are very ordinary people whose Father is the King of Kings. We have asked our Father to take all of us and use it for His Kingdom. He has faithfully taken our 5 loaves and 2 fish and is doing something far beyond us with it. We are honored and privileged to be a small part of His amazing plan for one little life. We trust and pray that much of who our Lord is can be seen through our journey. On Sunday July 17, 2005 our journey took a very significant turn. We had just returned from church, and I went to check email, as Kaye was preparing lunch. At about 12:15 I called Kaye into the living room; there on the computer screen two beautiful chocolate eyes were staring directly into our souls and in a cyber-moment Blessing Kayin Elizabeth Fischer melted her way to the very center of our hearts and family. Instantaneously all doubts about God’s call on our life were silenced, as our hearts were flooded with love for our fifth child. Now we would need to trust our Lord to complete the complex process of bringing Our Blessing home safely and quickly. Liberia was unstable and there was concern that all adoptions would be shut down when elections took place in 12 weeks.